I started this project the first week of January of 2013, and I started this blog 3 weeks later. My class schedule for February has allowed for more time to work on Prowl. It has been difficult to locate a distributor of plastics locally here in Roanoke, so I am waiting for a catalog from a plastic company to maybe get some plastic sheet material. 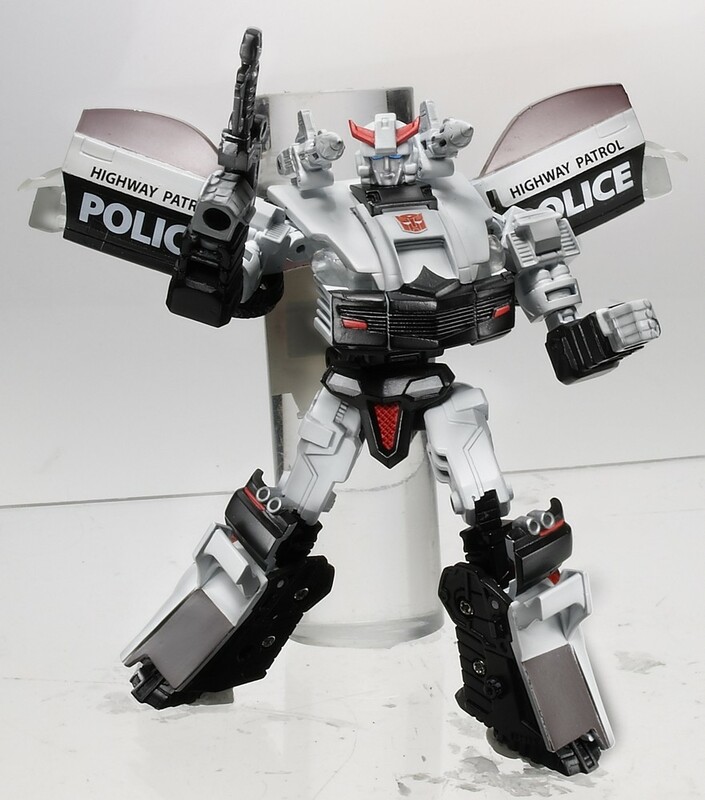 This photo is of a more recent released Prowl figure that has more detail and articulation. The lower leg sections is the same design I will attempt to re-create.